Happy Friday readers, or should I say Fri-YAY!? Thank you for browsing our website and ending up at our blog page. We’re going to be posting two of these a week; one will be about different local events, DIY projects around the house, or seasonal posts. The second will be more educational or informational to people who are looking for current listings or who are interested in the process of buying/selling of homes, mortgage rates, etc. Quality feedback is appreciated as well as any suggestions as to what you, the reader, would be interested in reading for the up coming blog posts. You’re our bread and butter in this process and as much as I like to hear myself talk in my head as I type this out, it’s your interests that I’m curious about, so please shoot our office administrator an email if you’d like a certain topic covered for that week. The topics can cover a wide range of things, from certain locations of homes and neighborhoods, all the way to my aunt’s famous apple butter recipe. I’d have to get her permission first; we can’t upset auntie, she’d never give me a jar again! Let’s kick this blog off the right way, with introductions! First up, we’ve got the dynamic duo, the big “C” and “W”, Evan Crawford and Matt Willis. These guys are our Associate Brokers for Keller Williams and have a combined 15 YEARS of realtor experience. 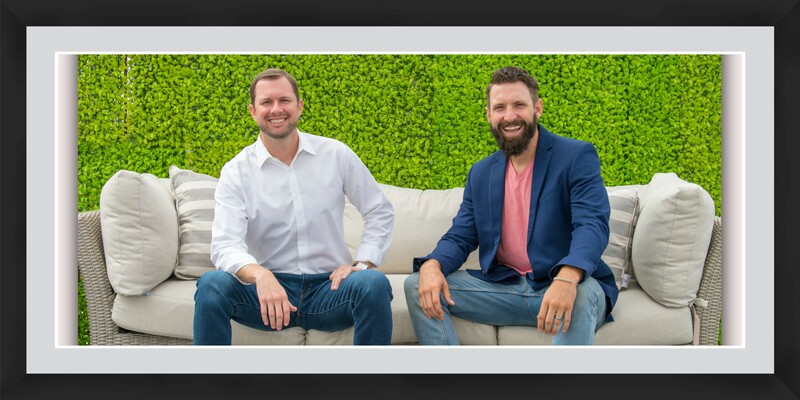 Both of these guys are all about helping their communities and treat every client like an old friend; you honestly couldn’t be in better hands than with these two. Check out both of their profiles by clicking this link. Next up, we’ve got our full time Office Administrator, Megan Lacy. She has a variety of things that she handles for the C/W Group and I honestly would rather not get carpal tunnel listing them all. All jokes aside, between all of the administration needs, her main goal is to make sure that the communication between our clients and other members of the home buying process is seamless. So please, direct all questions and any other needs that you may have with the C/W Group at Keller Williams to Ms. Lacy. Last, but certainly not least, is our Marketing Manager, Marissa McKee. If you find yourself browsing our social media platforms like Instagram or Facebook, you’ve run across our Marissa. She’s the one posting and updating those sites constantly and she’s GOOOOD at it. Not only is she in charge of social media, she also helps with any event planning that we’ve got going on. What event planning you ask? Do you remember when I said that Evan and Matt treat their clients like friends? Well, here at the C/W Group at Keller Williams we like to occasionally host house warming parties for our new homebuyers as a way of welcoming them into our family, because as cliché as that sounds, it’s true. These housewarming parties are an available option for the buyers, so it’s not mandatory. It’s just our way of saying thank you for choosing the C/W Group at Keller Williams and welcome home. So next time you find yourself in need of a house upgrade, please keep us in mind. Also, keep a look out for our weekly blogs, I’m feeling seasonal for next weeks entry. But until then, cheers readers! Thanks for the updated information. Best to you both. Looking forward to working with you both. All the best.